Sedona, Arizona, is a popular destination for visitors from all over the world. The amazing red rock formations, made famous in many films, are mesmerizing and, for some people, spiritual. Some people even believe that Sedona is even more beautiful than the Grand Canyon. 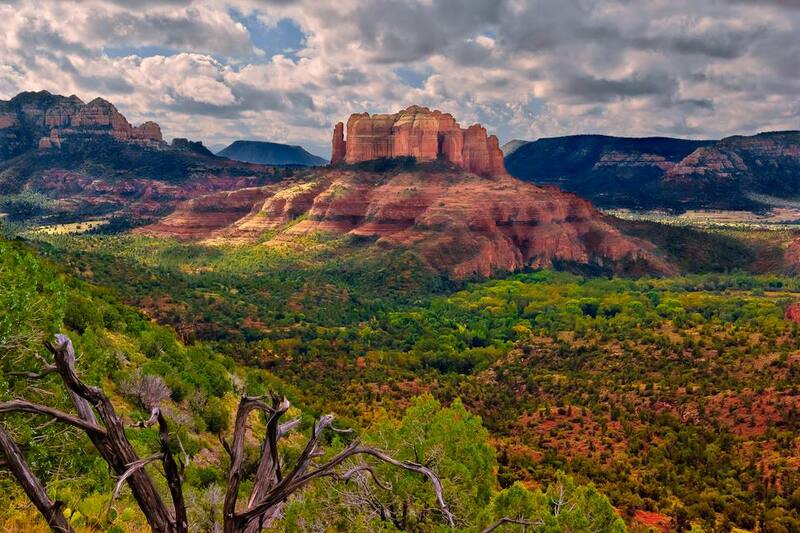 Take a trip to Sedona any time of year, but be aware that the weather is very different than the weather in the Sonoran Desert in Phoenix and Tucson, and also different from Flagstaff or the Grand Canyon. It is somewhere in between. March and October are probably the busiest months of the year. Winter is the least crowded, and a lovely place to spend the holidays. Spring is Sedona's most popular visitor season, so expect to book your accommodations well in advance. Temperatures are pleasant, rarely climbing above 80 degrees Fahrenheit (26 degrees Celsius), making these months extremely popular with outdoor adventurers. Sedona is at approximately 4,000 feet of elevation, making lows chilly, but it's easy to layer up and get outside. Additionally, March is Sedona's wettest month, but at just over 2 inches throughout the entire month, it's still much drier than most parts of the country. What to pack: Bring along light layers: long pants or shorts, long-sleeved T-shirts, and light jackets are good wardrobe staples for spring in Sedona. Don't forget closed-toed shoes for hiking and other outdoor activities. While it is certainly cooler in Sedona than in Phoenix, it will get hot in the summer, especially for people not used to triple-digit temperatures. Sedona is typically above 90 degrees Fahrenheit (32 degrees Celsius), but you'll find plenty of chances to cool off in places like Oak Creek or Slide Rock State Park. July and August are part of Arizona's monsoon season, so fast-moving storms and showers are common in the afternoons. In July and August, you'll find lower rates at resorts and bargains at golf courses. What to pack: For summer in Sedona, pack lightweight clothing like tank tops, short-sleeved T-shirts, shorts, and sandals. Bring your swimsuit and plenty of sunscreen! Fall is fantastic in Sedona. The leaves change, and temperatures are pleasant during the day—around 70 degrees Fahrenheit (21 degrees Celsius)—but much cooler in the evenings. The area has plenty of fall-themed activities to keep visitors busy, such as Octoberfest celebrations, pumpkin patches, apple picking, and hay rides. Rain is possible during fall in Sedona, but in general, skies are cloud-free and the weather is beautiful. What to pack: Pack a variety of layers, including short- and long-sleeved T-shirts, as well as light sweaters and jackets. Bring closed-toe shoes for hiking or other outdoor activities that you may participate in. There is winter in Sedona, and while snow happens, accumulations are rare. Don't worry about chains on tires. It is not unusual for there to be a 30-40 degree difference between low and high temperatures, so early morning hikers should be aware that layers might be in order. Even in December, mid-day temperatures can reach almost 60 degrees Fahrenheit (15 degrees Celsius) so the season is still perfect for exploring the outdoors. The red rocks look stunning when they're dusted in snow and there are fewer crowds during the winter months. What to pack: Bring clothing that you can layer, especially long pants, as well as fleece pullovers or sweatshirts for those chilly nights. December and January can experience temperatures in the teens, so don't forget a heavy winter coat if you visit during those months.